On 25th June 2017 the two disciples of His Holiness Ashutosh Maharaj Ji, Sadhvi Deepika Bharti Ji and Sadhvi Ambuja Bharti Ji delivered a talk on ‘Yoga and Meditation’ at the Unley Community Centre, SA 5061, Adelaide, Australia. 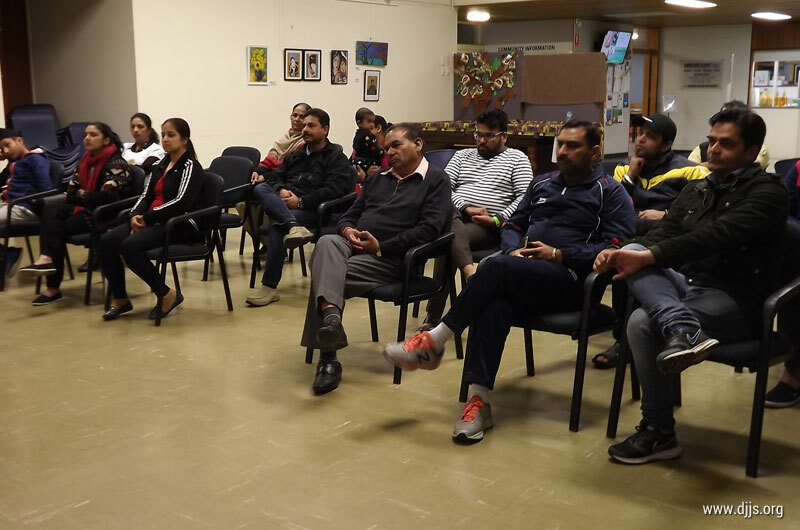 The talk was attended by a lively audience with Mr. Arjun Tokhi, International Coach of Weight-Lifting in Adelaide, Australia as the chief guest for the occasion. Sadhvi Deepika Bharti Ji explained the etymological connotation of the term yoga which means ‘to unite’. Sadhvi Deepika Bharti Ji then delineated the definition of yoga as a science for evolution of human consciousness in the light of ashtanga yoga – the eight limbs of yoga outlined by sage Patanjali. The first limb of yoga according to sage Patanjali is called Yama, that inculcates in a human being the sense of integrity and good conduct. The next is Niyama that deals with self-discipline. The third is Asana (physical postures). Then come breathing practices known as Pranayama. After this Pratyahara is mentioned, the process through which an individual attempts to sharpen awareness. Sixth is termed as Dharana which means to see the divine within through direct perception with the help of an enlightened Master. Following these six limbs of yoga an individual becomes eligible to follow the next limb, i.e., Dhyana (Meditation). It is through meditation that an individual connects one’s consciousness with the universal source i.e. the supreme consciousness. The final limb is Samadhi which is a state of trance. Sadhvi Ambuja Bharti Ji said that the eight limbs of yoga, if followed diligently, lead one to merge with the universal consciousness and enable to end the perpetual state of suffering. The talk concluded with practical demonstration of a few breathing and physical exercises, which the audience diligently followed.